I have been so busy cooking for Passover that I haven’t had time to write about cooking for Passover. There were 12 people coming to the seder, mostly old friends, but a couple of new people as well. I always make some of the traditional foods that people expect to appear – chopped liver, matzoh ball soup, gefilte fish (from a jar) – but I try to make the actual Passover feast interesting and different. No fatty brisket or roast turkey for me. Of course, I have to create a menu that follows the rules of Passover: no leavened products or flour or grains (although Sephardic Jews eat grains), no milk and meat in the same meal, etc. I also have to make a lot of food, because to run out of anything would be, according to my dear late mother, a shondana or shame to be brought upon my household. When I cook for a large group, I have a number of principles I follow. I try to have enough variety among the dishes not only to have varied and often exotic flavors, but also to make sure that there is something for everyone to eat, even the picky eaters. So I always make 2 main dishes, plus lots of sides. Also, the food needs to be able to be made ahead both because I work during the day and often can’t spend my day cooking, and also because I want to be able to enjoy my guests. With a small dinner party, everyone can gather in the kitchen and socialize while you cook, but 12 people in the kitchen can get crowded. I like food that can be tucked into the oven to reheat during the seder ceremony or microwaved and put in my stove’s warming drawer to keep. Food that can be served at room temperature is also good. And the most important principle is that all of the food served needs to be low fat, so that I can eat the leftovers. The original recipe, from Cooking Light, called for a mix of chicken breasts, thighs, and drumsticks. But I find that chicken breasts often overcook and get dried out in preparations such as this, especially if you are reheating. Also, at a buffet dinner with lots of food to select from, guests often don’t want to take a large piece of food, and chicken thighs are a more amenable size. The recipe also called for the addition of matzoh meal after the fat is taken off the gravy. But I find that matzoh meal doesn’t tend to make a particularly good thickener. Besides, I thought that when I reheated the chicken, a thickened gravy might get gummy. The flavor of this chicken was outstanding and everyone raved about it. It was a bit different because of the preserve lemon (see NOTE). It is baked with the skin on to flavor the ample gravy, but the skin is removed before serving. Chop the preserved lemon to a medium chop (not ground fine). Be sure to remove any small seeds prior to chopping. Combine 6 tablespoons honey and wine in a small saucepan; bring to a boil. Cook over medium high heat until reduced to 1½ cups (about 20 minutes); stir in Preserved Lemons. Preheat oven to 375°. Heat oil in a large nonstick skillet over medium-high heat. 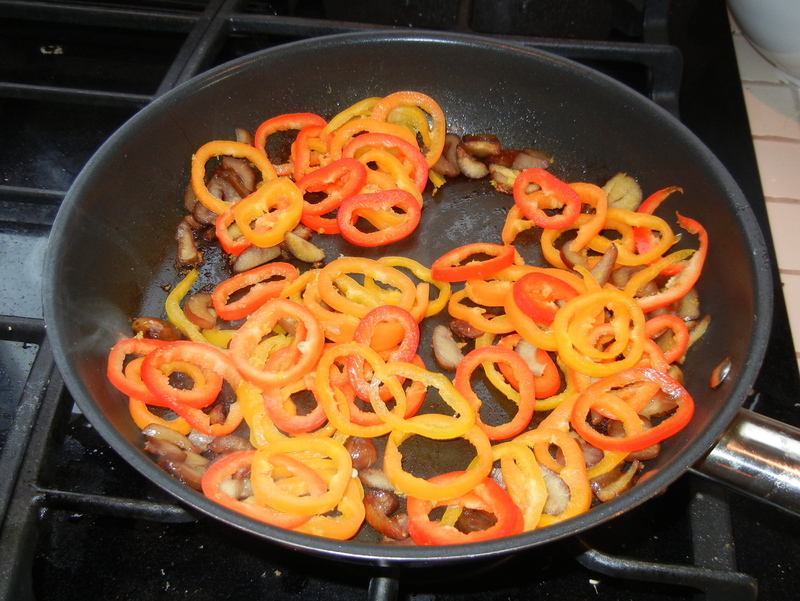 Add onions to pan; sauté 5 minutes or until slightly tender. Don’t let them burn. Transfer the onions to a roasting pan coated with cooking spray. Combine remaining 2 tablespoons honey, salt, and pepper in a small bowl. Carefully rub honey mixture under chicken skin, trying not to tear the skin. Place chicken pieces, meaty side up, on top of the onions in the baking pan. Pour the wine mixture over the chicken in roasting pan. To reheat, place the onions on the bottom of the pan, put the skinned chicken pieces on top of the onions, and put the defatted wine gravy over it. Bake for about 30 minutes, covered, in a 300 oven. Makes 8 servings with about 7 grams of fat/serving. I made a double recipe of this chicken, so the pan was completely full of chicken in wine gravy. NOTE: I have been reluctant to use preserved lemons, which are often called for in Moroccan food. I thought they would have a strong and perhaps fermented flavor. I finally bought a jar of them. To my delight, they turned out to only be made of lemon, salt, and water, and had a delightful perfumed aroma. I will definitely use them more often. They were, however, quite expensive. There are a number of recipes to make preserved lemons at home, and I plan to experiment with them. My mother made the world’s best lemon bars. Tart, sweet, and rich, every body loves Grandma Sylvia’s lemon bars. My daughter inherited the lemon bar gene, and her lemon bars are as good as her grandma’s. I have always thought of the lemon bars as supremely high in fat – after all, the recipe starts out with two sticks of butter. But after searching for and making several low fat lemon bars (2-4 grams of fat/bar depending upon the size), which were ok but not great, I decided to try and figure out just how many fat grams my mom’s lemon bars had in all their deliciousness. They only have 3 grams/bar! Oh my heart be still. Why am I struggling to find substitutes? The trick is that my mother cut the bars into relatively small pieces, which you need to do because 1) they look better on a cookie plate when they’re not a big slab, and 2) they’re so rich you can’t eat a big slab, anyway…although I confess to eating more than one bar at times. So here, without further adieu, are Grandma Sylvia’s Lemon Bars. To make the crust: Preheat oven to 350. 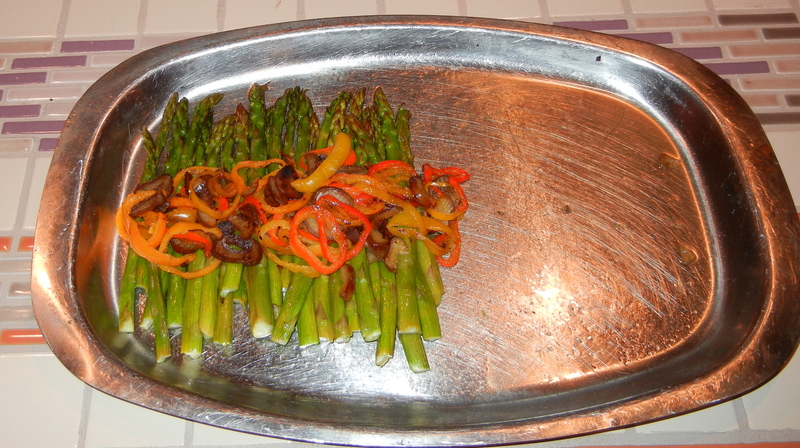 Spray a jelly roll pan (10” x 15”) with cooking spray. Place butter, flour, and ½ cup confectioner’s sugar into a medium bowl. Mix with your fingers until it the ingredients are well-blended and the mixture resembles coarse crumbs. Press the crust mixture evenly into the bottom of the prepared pan and slightly up the sides. Bake for 20 minutes, or until lightly golden. 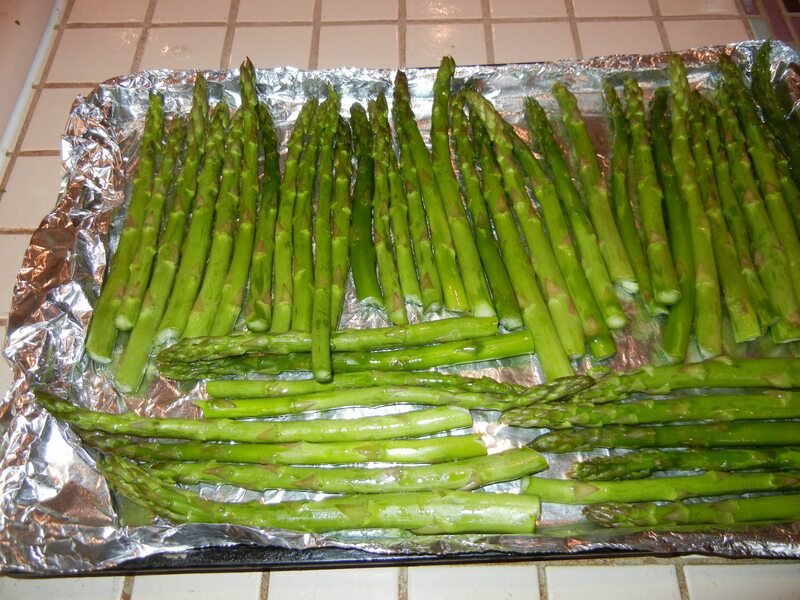 Remove from oven and let cool for 5 minutes. To make the topping: Make the topping while the crust is baking. Mix the ingredients (lemon juice through eggs) with a mixer, beating until smooth. Pour the lemon mixture over the warm crust. Return pan to oven and bake for 25 minutes, or until the edges begin to turn golden and the center is set. Remove from oven and sprinkle immediately with powdered sugar if you are using it. Cool pan completely on a wire rack. Cut into 64 bars with 3 grams of fat/bar. These freeze very well, which is a good thing, because when they are in the freezer I am less likely to walk by and grab one.